The Land Warfare Doctrine, released by the Indian army on December 19 is a disappointing document. 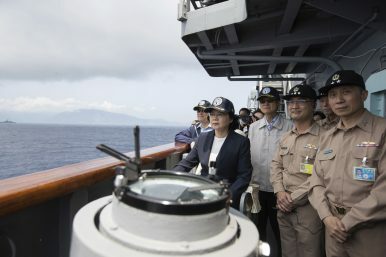 Its drafters have read the wrong warfare literature – lifting ideas from American writings, instead of drawing on China’s 2015 military reforms. THE decision-making process of the defence establishment with its myriad complexities has always remained a vexed issue. It has been a cause of alienation for people in uniform with court cases, delays in acquisitions and procurements, lack of integration and jointness. The Rules for Allocation and Transaction of Business, 1961, have no role or powers ascribed to the defence forces. 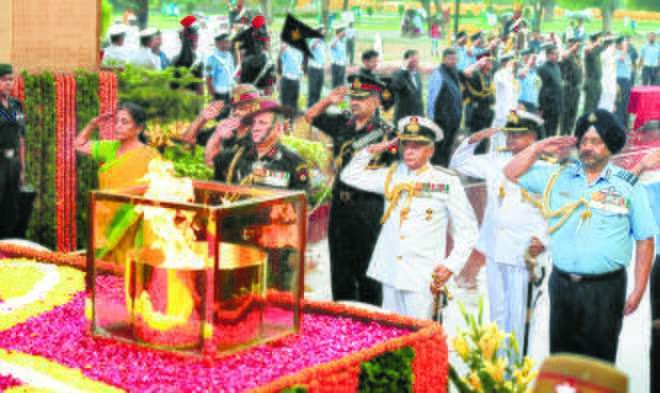 The Defence Secretary is responsible for ``Defence of India" and ancillary facets during war with the armed forces and the three Service Headquarters subordinately designated as "Attached Offices of the Department of Defence". The professional heads of the three services neither have been accorded a status nor granted any powers in the edifice of the Government. One of the primary problems with our endless debates over (seemingly) endless American conflicts with jihadists overseas is that we rarely go back to first principles. We rarely take a step back and accurately define our strategic and tactical challenge. We don’t do this in debates between pundits, and we don’t do it in public arguments. Instead, all too often we resort to sloganeering and sniping, with serious pieces like those of my colleagues Andy McCarthy and Michael Brendan Dougherty (who disagree, by the way, with my counsel to stay in Syria) the welcome exceptions to the dreary rule. Moreover, there is a distressing tendency to sweep together the last several Republican and Democratic administrations as if they’re all part of the same foreign-policy establishment that tries to do the same things the same way and then falls prey to the same temptations to turn to American military force as a first resort in the face of persistent Middle Eastern challenges. In reality, however, different approaches have confronted a series of difficult realities, and those realities have necessitated military intervention. In 1992, after groups of guerrilla fighters known as mujahideen succeeded in toppling Afghanistan’s communist government, which had been backed by the Soviet Union, they quickly turned on each other, kicking off a civil war. In response, a group of young clerics in the southern province of Kandahar took up arms themselves, promising to restore order and establish an “Islamic system.” The Taliban movement, as the clerics became known, spread rapidly across the south and east of the country until 1996, when they ousted the fractious coalition of mujahideen and conquered Kabul. The Taliban has rejected Kabul's offer of talks next month in Saudi Arabia where the armed group, fighting to restore strict Islamic law in Afghanistan, will meet the United States officials to further peace efforts, a Taliban leader said. 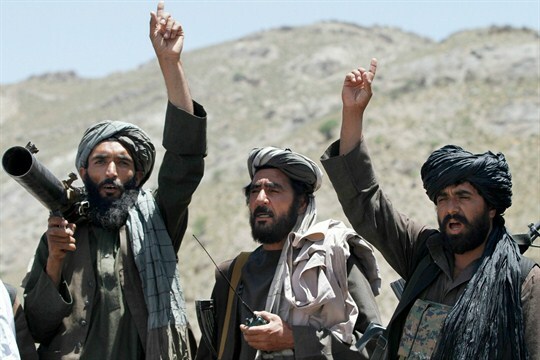 Representatives from the Taliban, the US, Saudi Arabia, United Arab Emirates (UAE) and Pakistan met this month in the UAE for talks to end the 17-year war in Afghanistan. On December 20th, President Trump called for the withdrawal of 50% of U.S. forces from Afghanistan. This would be catastrophic not only for Afghanistan but for U.S. and allied interests worldwide. We are in an unprecedented moment in the war and the brink of the first possible for peace in the nation. However, if the U.S. decides to withdraw prematurely, we would repeat the same foreign policy mistake that has plagued us in the Middle East since 2001. For better or for worse, the U.S. invaded Iraq in March 2003 as part of the War on Terror. The war dragged on for eight years, and in December 2011, the last U.S. troops left Iraq before the country had stabilized. In the power vacuum left in our absence, ISIS took over. By January 2014, they took Fallujah. That summer, they took Mosul. In June, an American-led coalition had to recommit troops to Iraq. It has been three and a half years since that recommitment, and we still have troops in Iraq. The West has long militarized space. China plans to weaponize it. Not good. That happened almost 50 years ago. Lunar landings are now back in the news, not because the marginal scientific or symbolic value of the current missions is high for mankind on Earth. Rather, it’s because national pride is driving America’s strategic competitors to escape gravity. China and Iran both are hard at work launching and lobbing rockets into space to show that America no longer has a monopoly on technological leadership. They are also using these blast-offs and landings to warn us of their ability to match and surpass America’s scientific prowess. For good measure, they also want to remind us that they can easily land a nuke on the U.S. homeland. The PLA Strategic Support Force (PLASSF) has been a puzzle and apparent paradox over the first three years of its development. Established on December 31, 2015, this new force has been designed to leverage synergies and facilitate integration across Chinese capabilities for space, cyberspace, and the electromagnetic spectrum. In any future conflict scenario, the Strategic Support Force would be integral to the PLA’s plans to fight and win “informatized” warfare. The PLASSF’s Space Systems Department will enhance information support and intelligence for the PLA’s newly established theater commands, thus enabling future joint operations and power projection. At the same time, the PLASSF contributes to the PLA’s integrated approach to strategic deterrence, providing capabilities for space and information operations that can complement its existing arsenal. The Network Systems Department has consolidated cyber, electronic, and psychological warfare capabilities, which appear to be structured through bases that correspond with the five theater commands. After the past three years, such assessments about its force structure and missions can be made with greater confidence, and the PLASSF’s construction appears to be advancing considerably, though a number of uncertainties remain. Hit by a trade war and a slumping global economy, China is desperately attempting to avert a slowdown in the world’s second-biggest economy. Against all the odds, can Beijing pull it off? On December 21, China’s leadership signed off on an economic roadmap for 2019 that features aggressive stimulus measures, including tax cuts and monetary easing. A festival of fireworks will light up the New Year across the world in the next few hours. 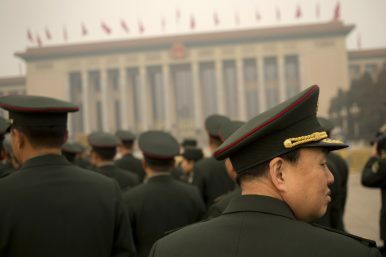 For China, it could herald the start of a challenging 12 months. On Monday, the curtain came down on 2018 with another set of numbers illustrating the depth of the economic downturn as Beijing battles sluggish growth just weeks before crucial trade talks resume with the United States next month. Factory activity in the country’s manufacturing sector contracted in December for the first time in more than two years, highlighting the problems ahead. The official Purchasing Manager’s Index, or PMI, fell to 49.4 from November’s figure of 50.0, which separates expansion from contraction, data released by the National Bureau of Statistics showed. It’s tough to make predictions, especially about the future. That gem of homespun wisdom from the philosopher Yogi Berra weighs on anyone who looks into the crystal ball of geopolitics. Yet the very fact that the world has become so topsy-turvy makes the exercise all but irresistible. Here, then, are one prognosticator’s guesses about what will shake the world in 2019. Last year, your geopolitical fortune-teller did surprisingly well. These predictions came true: Donald Trump would remain president; Mike Pompeo would replace Rex Tillerson as secretary of state; the United States would continue helping Saudi Arabia to bomb Yemen, and would deploy more troops to Afghanistan, Syria, and Africa; Iran would remain the most stable Muslim country in the Middle East; and, most amazingly, France would win the soccer World Cup. If I was so sure about that last one, why didn’t I bet on it? I could have become rich! WASHINGTON — The Pentagon is considering using small teams of Special Operations forces to strike the Islamic State in Syria, one option for continuing an American military mission there despite President Trump’s order to withdraw troops from the country. The American commandos would be shifted to neighboring Iraq, where an estimated 5,000 United States forces are already deployed, and “surge” into Syria for specific raids, according to two military officials who spoke on the condition of anonymity. The strike teams are one of several options — including continued airstrikes and resupplying allied Kurdish fighters with arms and equipment — in a new strategy for Syria that the Pentagon is developing as officials follow the order Mr. Trump gave on Wednesday for a military drawdown even as it tries to maintain pressure on the Islamic State. Last summer I wrote a piece for Foreign Policy called “Trump Is the First President to Get Turkey Right.” Some of my colleagues and friends thought I gone quite mad as the U.S. president brought his ferocious Twitter feed to bear on Turkish officials and Turkey’s economy. It was not, of course, the intemperate tweets that I was applauding, but the willingness of the Trump administration to bring public pressure on Ankara over a variety of issues—whether the arrest and unjust imprisonment of American citizens, the targeting of journalists, the intention to buy advanced weapons from Russia, or the threats at U.S. soldiers serving in Syria. When Andrew Brunson, a North Carolina pastor who had been in Turkish custody for two years, was released in October, it confirmed for me that playing hardball with Turkey was superior to the intensive private diplomacy that previous administrations had tried with Ankara. 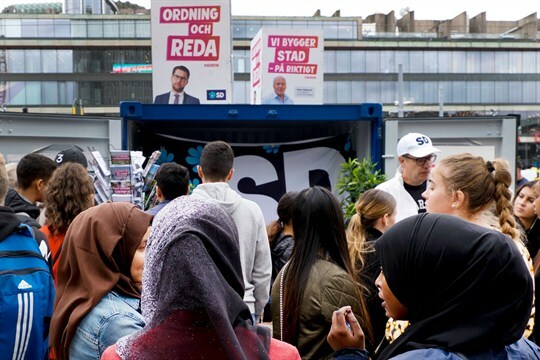 As the nationalist, anti-immigrant Sweden Democrats claimed their best result yet in Sweden’s parliamentary elections last Sunday, the nation’s newspapers went bold with their headlines. “Chaos,” read the front pages, in all caps, of the two largest tabloids. Dagens Industri, a financial newspaper, called the outcome “a political earthquake.” But the subject of their worry was not the rise of the Sweden Democrats, the latest party to surf Europe’s anti-establishment populist wave. Instead, it was the utter fragmentation of the country’s political landscape. The issues that led to Defense Secretary James Mattis’ resignation – troop withdrawals from Syria and Afghanistan — will still be fresh, with several questions about what comes next for Shanahan to answer. Shanahan, a former Boeing executive who has spent his 17 months as deputy Defense secretary focused on the business side of the Pentagon, will also have to prove himself to Congress, in particular Democrats who are taking over the House. Iranian researchers at Amir Kabir University of Technology developed a new robot which can pass over obstacles and be used in dangerous relief and rescue missions. The new silicon robot enjoys high flexibility to change its shape based on the environment to pass the rough terrain. Its moving parts include the feet and body and the robot can be used for relief and rescue operations due to the soft materials that it is made of and its flexible arms. The robot can surmount the obstacles and be used in operations dangerous to human life. According to the Institute of Electrical and Electronics Engineers (IEEE), Iran’s manufacture of high-tech robots makes it one of the five countries in the world with the technology to make humanoid robots. One of the points that the study group convened by the Carnegie Council for Ethics in International Affairs to examine domestic political support for U.S. global engagement has grappled with is the relationship between the national security expert community and the general public. That such a gap exists is uncontested, and, as Kori Schake observed back in June 2018, one reality is that there has been a “genuine failure on the part of experts to think in a careful way about the consequences on the American heartland” of different policy proposals—which leads to widening rather than narrowing that chasm. One way to address that problem is, as so many task forces have recommended, for experts to go out even more among the general population and to raise awareness of the issues at hand. But what is so fascinating about the debate and discussion ever since President Donald Trump indicated that the United States will be disengaging from Syria, at least in terms of an on-the-ground military presence, is how reactions point to another political strategy, the “keeping it off the radar” approach. This second approach, particularly with regards to Syria, came about precisely because experts, in making recommendations about what the U.S. ought to have been doing in Syria, were well aware that there would be little to no public buy-in for another large-scale military deployment to the Middle East. Is One of Africa’s Oldest Conflicts Finally Nearing Its End? For the past forty years, tens of thousands of Moroccan soldiers have manned a wall of sand that curls for one and a half thousand miles through the howling Sahara. The vast plain around it is empty and flat, interrupted only by occasional horseshoe dunes that traverse it. But the Berm, as the wall is known, is no natural phenomenon. It was built by the Kingdom of Morocco, in the nineteen-eighties, and it’s the longest defensive fortification in use today—and the second-longest ever, after China’s Great Wall. 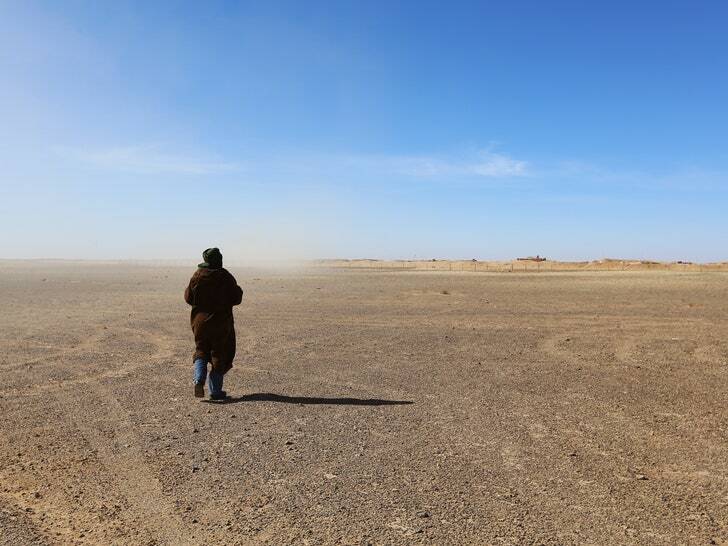 The crude barrier, surrounded by land mines, electric fences, and barbed wire, partitions a wind-blasted chunk of desert the size of Colorado known as the Western Sahara. Formerly a Spanish colony, the territory was annexed by its northern neighbor, Morocco, in 1975. An indigenous Sahrawi rebel group, called the Polisario Front, waged a guerrilla war for independence. In 1991, after sixteen years of conflict, the two sides agreed to a ceasefire. The wall keeping the foes apart stretches from the Atlantic Ocean to the mountains of Morocco, roughly the distance from New York City to Dallas. When Turkey first applied for full membership in the European Union in 1987, the world was an entirely different place -- even the rich club had a different name: the European Economic Community. U.S. President Ronald Reagan had undergone minor surgery; British Prime Minister Margaret Thatcher had been re-elected for a third term; Macau and Hong Kong were, respectively, Portuguese and British territory; the Berlin Wall was up and running; the demonstrations at the Tiananmen Square were a couple of years away; the Iran-Contra affair was in the headlines; the First Intifada had just begun; and what are today Czech Republic and Slovakia were Czechoslovakia. Future wars may be decided by computers fighting each other in cyberspace, somenational security experts argue. But others predict artificial intelligence brings false security to cyber defenses because the technology’s behavior can be hard to perfect. Two new papers attempt to narrow that expansive philosophical divide and give an insight into how AI will be used for cybersecurity in the future. 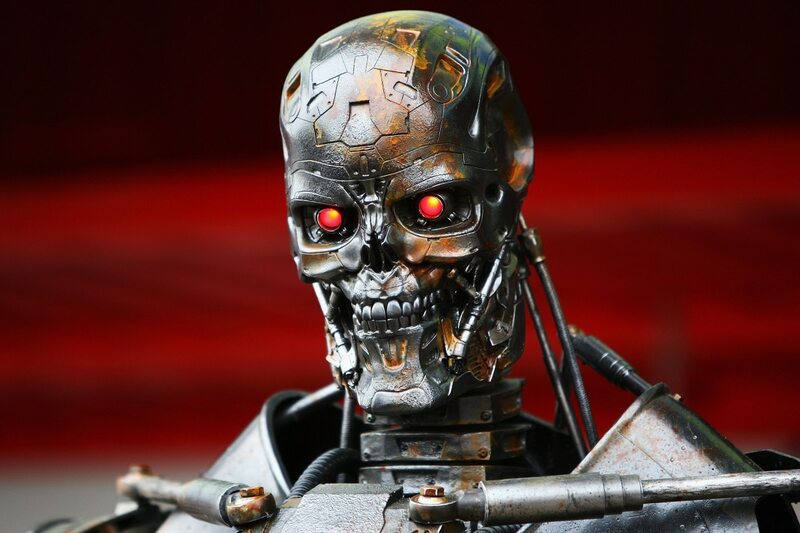 Artificial intelligence-powered machines are "likely to become primary cyber fighters on the future battlefield,” Alexander Kott, chief scientist at the Army Research Lab, wrote in a Dec. 18 edition of the Army’s Cyber Defense Review. Children and teenagers are not just bullied at school but the bullying can continue while they are at home via the internet. Cyberbullying is a serious concern for many parents and often it is hard to determine what you should do if your child is being cyberbullied. Tech Mahindra Ltd. announced the launch of GAiA – the first enterprise edition of open source Artificial Intelligence (AI) platform Acumos. GAiA will enable enterprises across industry verticals to build, share and rapidly deploy AI-driven services and applications to solve business critical problems. GAiA will also provide support to enterprises in adopting open source AI platform offerings to implement custom use cases, models and integration services. It will be available for commercial purpose and will support open source distribution as well. The various industry solutions and the existing marketplace in GAiA will further be enriched through collaboration with academia, third-party Machine Learning developers and companies. CYBERSECURITY CAN FEEL like a chaotic free-for-all sometimes, but it's not every day that a whole new conceptual type of attack crops up. Over the last 15 months, though, cryptojacking has been exactly that. It's officially everywhere, and it's not going away. The concept of cryptojacking is pretty simple: An attacker finds a way to harness the processing power of computers she doesn't own—or pay the electric bills on—to mine cryptocurrency for herself. Malicious mining malware has lurked for a while, but attackers didn't realize its full potential until a group called Coinhive created a simple mining module in September 2017 that could embed in virtually any website. Once it's there, anyone who goes to the page will contribute CPU cycles to mining for the module's owner for however long they have the tab open. Coinhive has said that it intended for the tool to provide an alternate revenue stream for websites, but criminals quickly realized that they could find and exploit vulnerabilities in all sorts of highly trafficked sites to quietly implant their own cryptojacking modules. A proliferation of information technology (IT) advances have disrupted the modern world, which has accelerated the pace of change and expanded the body of knowledge in nearly every human endeavor. Previously isolated events now have near immediate, pervasive effects for militaries, politics, and cultures worldwide. The implications of these changing conditions are perhaps most applicable to how the Chairman has expressed the criticality of global integration for military operations across Combatant Commands (CCMDs) and Areas of Responsibility (AORs). Together with the Secretary of Defense, the Chairman has emphasized the importance of coordinating with and reassuring allies as essential to this effort. Mission partner integration not only serves to enhance alliance power projection, but also acts as an IT stress test for the level of trust necessary to meet the Joint Force’s demand signal for seamless, worldwide operations. The most decisive act of judgement which the Statesmen and General exercises is rightly to understand the War in which he engages. In August 1945, when America initiated the atomic age, the dominant character of land war between great powers transitioned from operational maneuver to positional defense. Now, almost a century later, the US Army is mistakenly structuring for offensive clashes of mass and scale reminiscent of 1944 while competitors like Russia and China have adapted to twenty-first-century reality. This new paradigm—which favors fait accompli acquisitions, projection from sovereign sanctuary, and indirect proxy wars—combines incremental military actions with weaponized political, informational, and economic agendas under the protection of nuclear-fires complexes to advance territorial influence. The Army’s failure to conceptualize these features of the future battlefield is a dangerous mistake. CHELMSFORD, Mass. (AP) — The Army is looking for a few good robots. Not to fight — not yet, at least — but to help the men and women who do. Should the Army look at creating heavy-light infantry combinations for the near-peer fight? This captain thinks so. 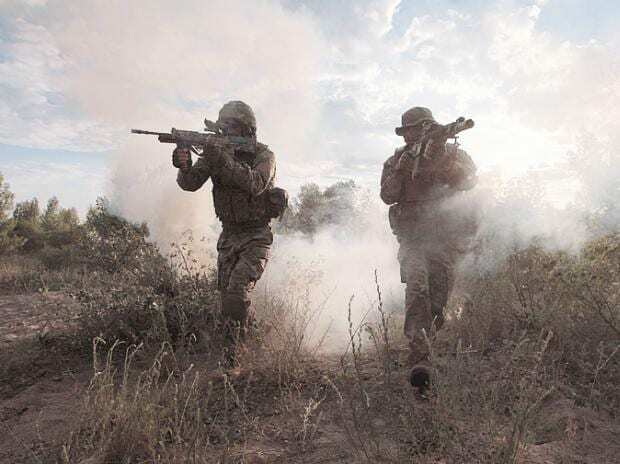 While every effort has been made to lighten the combat load on the infantryman, one Army captain has floated the idea of a return to the ancient and medieval structures of light and heavy infantry to meet the variety of modern battlefield needs. 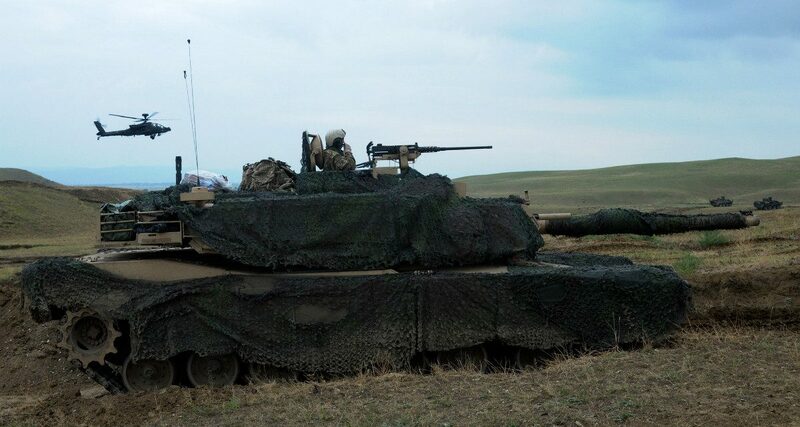 And the balance between protection and mobility in something as intimate as body armorcan provide a window into large considerations for how the modern Army might have to fight. Capt. Matthew Allgeyer, assistant plans officer for 1st Battalion, 16th Infantry Regiment, 1st Armored Brigade Combat Team, 1st Infantry Division, laid out his plan in Infantry Magazine this past year. Modern ballistic body armor, such as ceramic plates, have provided unprecedented levels of protection for troops, but they also have weighed down soldiers and Marines in ways that can cause exponential problems, not only for physical injuries and mental strain but also for battlefield mobility, Allgeyer writes. SWJ Editor Note: In this passionate plea to the ‘powers that be’, Brigadier General (Ret.) Don Bolduc squarely hits the nail on the head. What is sad for me is, in the 20-years I have been online addressing small / irregular warfare, I have seen the issues BG Bolduc identifies and the recommendations he suggests made time and time again. So here we are, more lessons to unlearn and rediscover at some later date. The President made it clear for some time that he is not in favor of these wars. His advisors, senior civilians, and generals had almost two years to figure out how to disengage and they did not get it done. The President probably grew weary of hearing that if we depart, ISIS will resurge in the political vacuum. American presence acts as buffer against a conflict between two American allies — the Turks and the Kurds, humanitarian concerns, and our presence in Syria allows the United States a seat at the table in any future Syrian peace negotiations. All true, but this is not what the President wanted to hear from his diplomats, senior military leaders, and advisors. He wanted to know how this can be done without a boots on the ground commitment, a commitment that has produced limited success at best. I am sure the President received multiple military courses of action over the past two years, but they likely reinforced the status quo - they were not different. This left the Pentagon unprepared to execute the President’s orders when they finally came. With the newly divided Congress preparing to take office, there will be a clear challenge to the president’s recent call to create a new branch of the military, the “Space Force.” While there are a lot of areas of government that are clearly ripe for partisan bickering, our nation’s defense should be spared that indignity. Let’s examine the call for this new uniformed service from a rational, not ideological point of view. First of all, the Department of Defense is the largest organization on Earth. It has surpassed the $700 billion level, and is larger than the militaries of China, Russia, and all of Europe- combined. Last year’s plus-up, roughly $69B, was larger than Russia’s entire military budget. That’s right, we added the equivalent of Russia’s military, and then some, to our defense expenditures. Given the size of our alarmingly expanding deficit, the defense budget will be faced with contraction, probably sooner rather than later given the harsh realities of debt. This requires that we organize our military as efficiently as possible.